Rock legends Bon Jovi have announced UK stadium dates for summer 2019, with support from Manic Street Preachers. 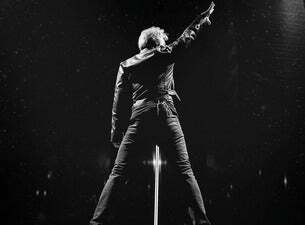 New Jersey’s Bon Jovi are one of the most successful American rock bands of all time. Since their formation in the early 1980s, the band have sold over 100 million records worldwide, played over 2,700 shows in over 50 countries and won countless awards. The band’s most successful album to date is their 1986 release Slippery When Wet. The album, which topped the charts in both the UK and the US, features fan favourite singles such as You Give Love a Bad Name, Wanted Dead or Alive and the timeless hit Livin’ on a Prayer. Fronted by the force of nature that is Jon Bon Jovi, the band have no fewer than 18 Top 10 UK singles under their belts. Some of the band’s biggest hits include Always, It’s My Life, Have a Nice Day, Keep the Faith and Who Says You Can’t Go Home. The band released their latest album This House Is Not for Sale in November 2016. The record debuted at No.5 on the UK Albums Chart and features the single This House Is Not for Sale.